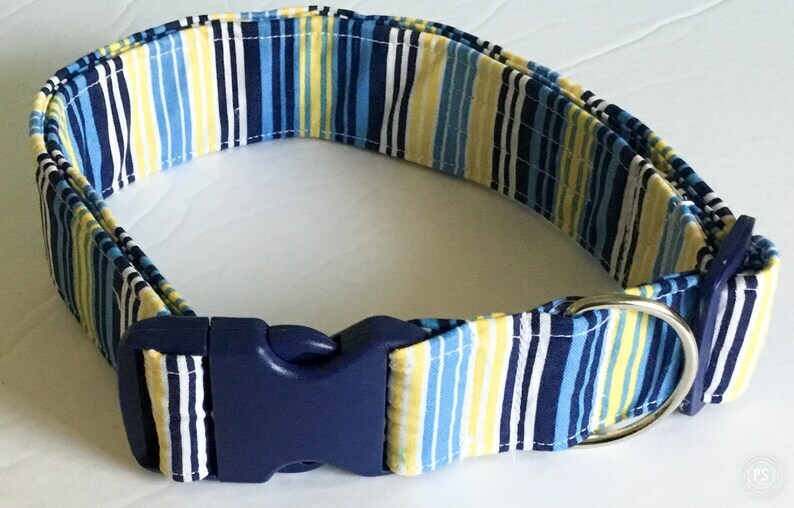 This Blue and Yellow Striped 1.5”W Dog Collar can be purchased in Medium, Large, XL and XXL sizes. The extra wide dog collar showcases a blue, yellow and white striping throughout. A matching flower or bow tie can be purchased with this collar in the options when ordering. A matching 5 ft leash is also available in the options when ordering.